Our support group offers an atmosphere where people can normalize reactions which might feel abnormal. Grief feelings are legitimized in the process of connecting with other people who can relate to your experience. The result is learning that grief is a natural human reaction to loss. As seating will be limited, please register for the upcoming program by emailing: info@stjohnsdixies.com or calling (905) – 566 – 9403. Maggie is a trained, certified celebrant who will create a meaningful ceremony that will reflect the unique wishes, beliefs and values of your family. She will incorporate stories, songs, life experiences and essences that fit the personalized lifestyle of your loved one. Your family and friends can listen with comfort as the words are woven into a story that reflects the life of your loved one. 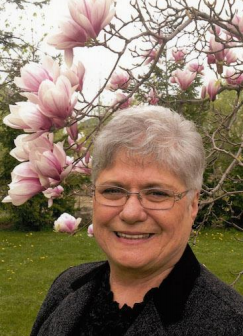 She has served as a funeral director and a cancer hospice worker offering care and compassion. Maggie’s life experience brings a wealth of knowledge and understanding combined with compassion and empathy to serve as a celebrant. She is flexible and creative in organizing and conducting personalized funerals, memorial services and life celebrations that honour a life lived. When we are grieving, we all need support and comfort, but we also need to understand that these feelings and experiences are necessary in order for our souls to grow. Whether in a funeral home, crematorium, graveside or a memorial location of your choice Maggie prepares a specialized service. The ceremony is a reflection and a memorialization that is fitted to the life of your loved one allowing you ease and comfort at the most crucial time of your life.